I recently received an email asking if I would like to try the Wash Wizard, I'd never heard of the brand or product previously to receiving the email, so I researched the company and product and after doing so I said yes please, because not only did I think the product sounded really interesting and I was intrigued to try it, but I really liked the sound of the company and the people behind it. Wash Wizard was set up by four 17 year olds, Rosie, Freddie, Sol and Siam who are passionate about making a lasting difference in the community. They have taken it upon themselves to make sure that their product will have a benefit to people in need of support by giving a percentage of their profits to homeless charities in the UK. Wash Wizard is the number one solution to getting shower fresh without the shower. It is impregnated with a body wash solution suitable for body and hair, no additional liquids, gels, soaps or creams are needed and there is no need to rinse. 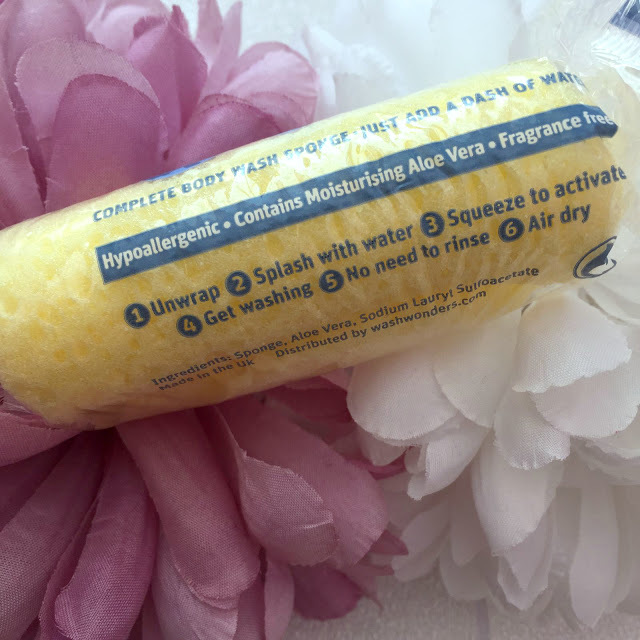 The Wash Wizard is hypoallergenic and unscented and contains Aloe Vera to moisturise and soften the skin, it doesn't leave a sticky residue and is light and easy transported and is fully reusable and recyclable. I was very intrigued to try the Wash Wizard and from researching the product to it arriving I couldn't wait to see it and try it out. 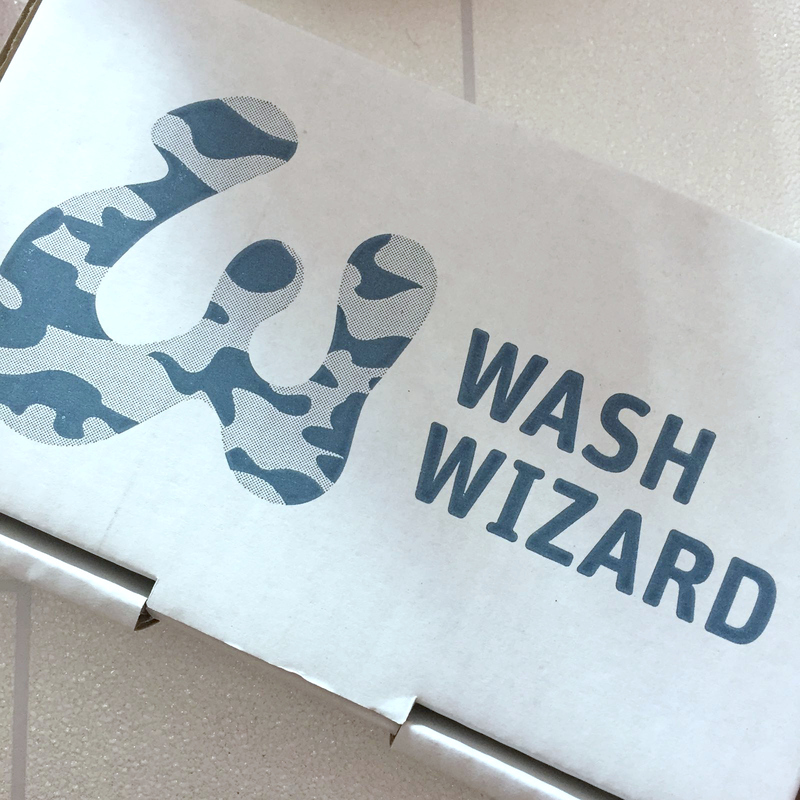 The Wash Wizard comes in a box which is rather plain looking with the company logo on the front, the box is fully recyclable. Inside the box are 5 Wash Wizards individually wrapped, the packaging they are wrapped in is also fully recyclable. I followed the instructions on the back of the Wash Wizard packaging and unwrapped it, I was pleasantly surprised at the size of the sponge and to be honest thought it was going to be much smaller and maybe expand with water but it doesn't, it is a good size and stays the same size once water is added to it. Once I'd added water I squeezed the sponge and the foam started to come out, it doesn't have a scent to it at all and did a perfectly good job of washing me, since I was testing the Wash Wizard as it would be used, I didn't rinse and air dried. I have very sensitive/eczema prone skin and the Wash Wizard didn't irritate my skin at all, feel sticky or leave any sort of residue on my skin. I think the Wash Wizard is a really great product and will be ideal for so many situations, I have friends who go to festivals and they usually take baby wipes which can cost anything from around £2.00 upwards, a box of 5 sponges it is £7.99 and you can't reuse a baby wipe but if you didn't have a full body wash with the sponge, you could easily pop it in a zip lock bag and use it again, or you could cut the sponges in half so you have more and some of the profit goes to charity so a good product with a good company ethos. I really do like the Wash Wizard sponges and think they would be brilliant for lots of different things especially festivals and camping trips, they can be used with any sort of water, tap water, bottled water, river water, well water or rain water so you don't have to have access to a tap to use them and the more water you add, the more foam you get. I like that they are unscented and hypoallergenic and that there is no need to rinse. I personally don't go to festivals or camping but I can imagine trying to keep clean isn't easy and the sponges are so easy to use and fully recyclable they would be a great thing to take, keeping clean and hygienic is something that puts a lot of people off going to festivals or camping but I think the sponges could change that opinion for some. 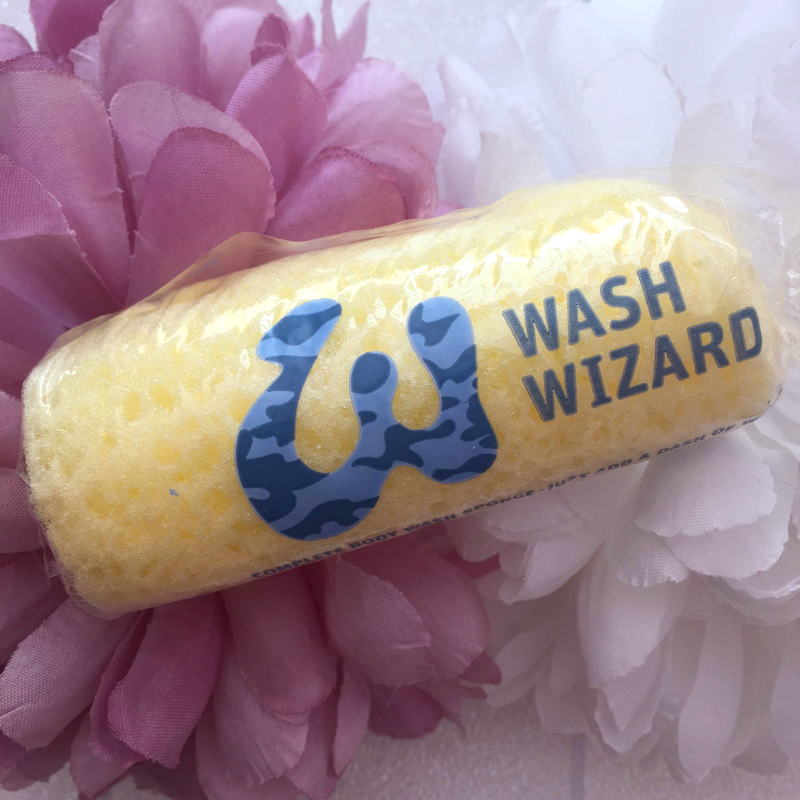 I have told so many of my friends about the Wash Wizard and they are all really impressed with the concept especially those who go camping or to festivals or have children who do. Overall I think these are a brilliant product and I am glad I had the chance to try them out because I wouldn't have known about them otherwise and they really are a fantastic product that do exactly what it says on the tin, all the packaging is recyclable, that combined with the company donating some of their profit to charity is excellent and I would definitely recommend the Wash Wizard if you are going to have an occasion where you might need them, and they are much kinder to both your skin and the environment than baby wipes, I am very impressed! 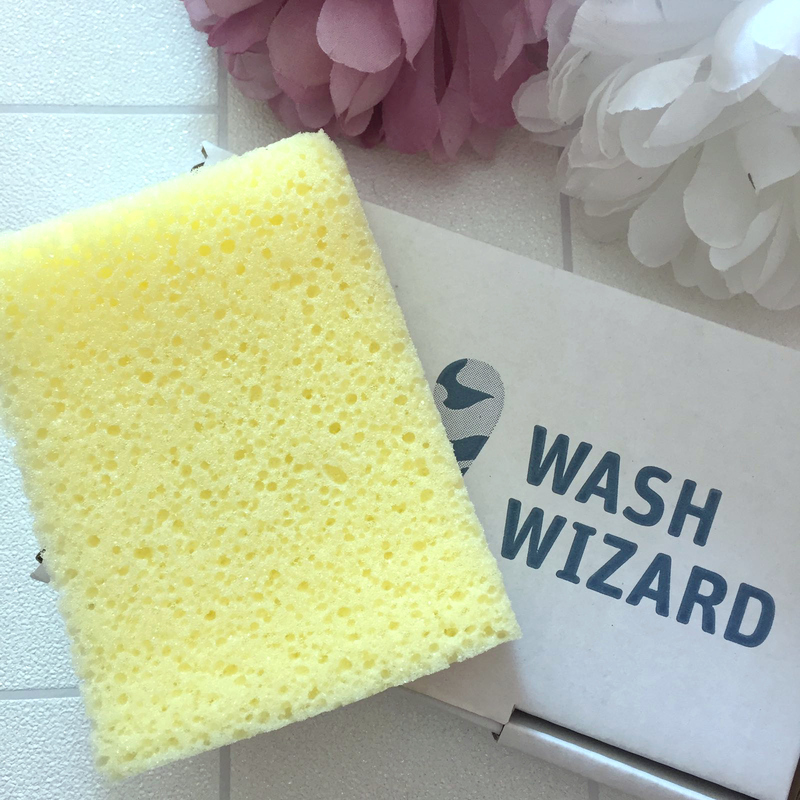 If you would like to try the Wash Wizard for yourself, you can purchase them via the wash Wizard website HERE priced at £7.99 for a box of 5 individually wrapped sponges. Had you heard of the Wash Wizard sponges? Or have you used them? What do you think? Let me know in the comments section below, I'd love to know your thoughts.